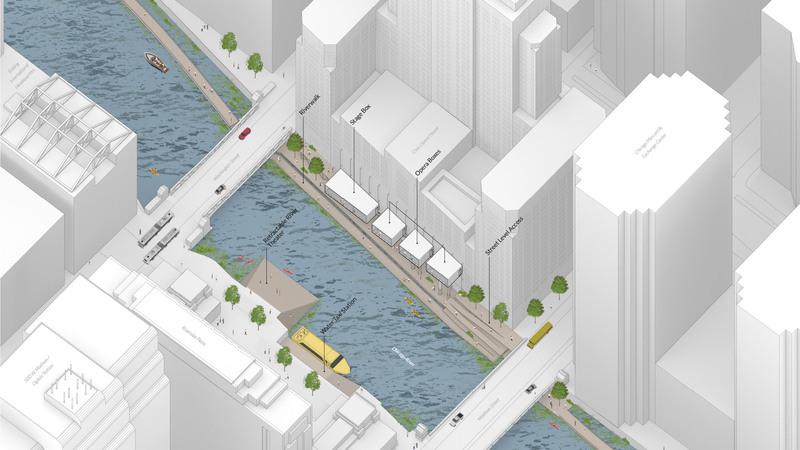 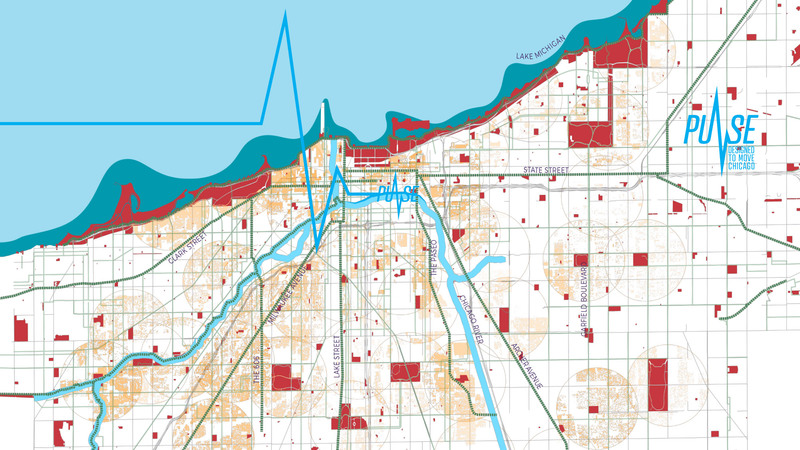 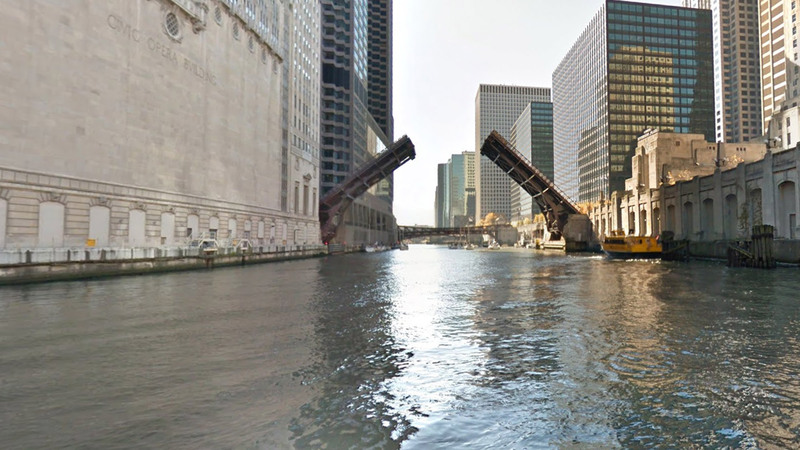 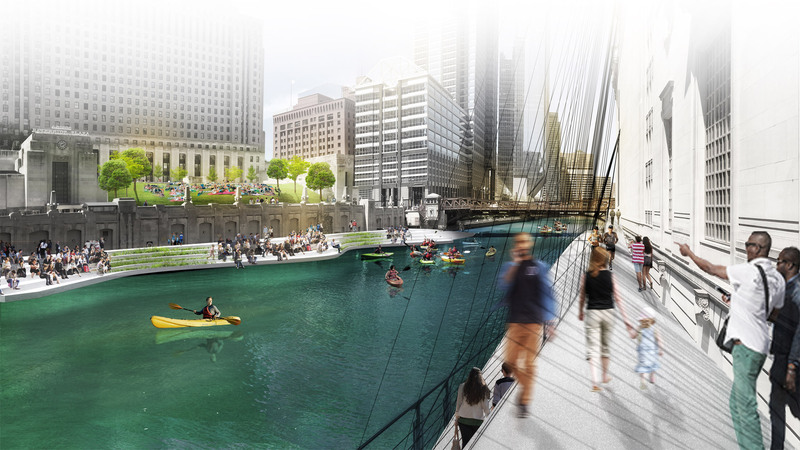 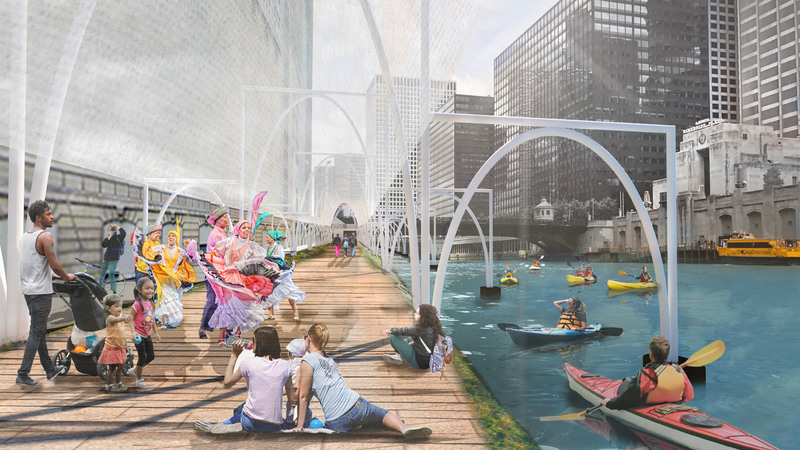 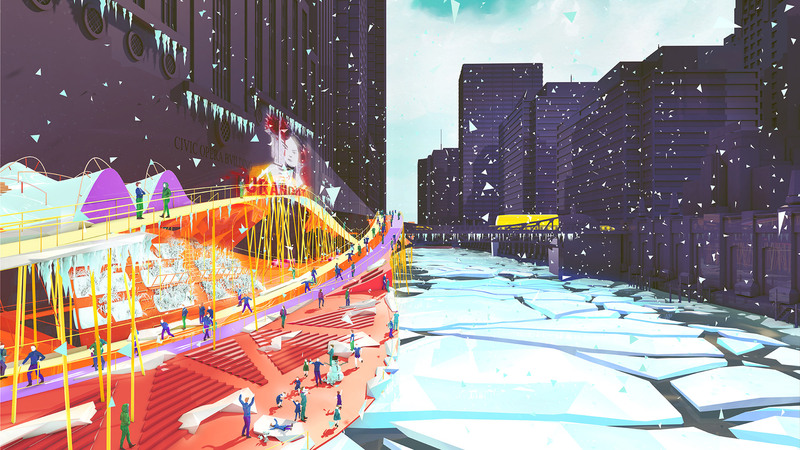 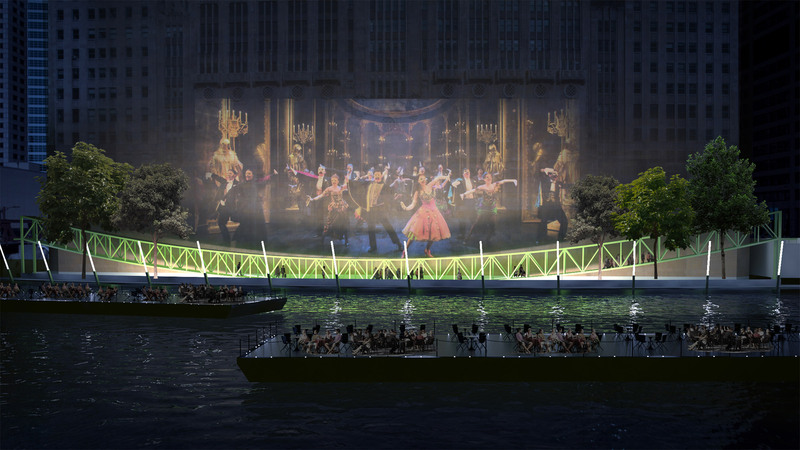 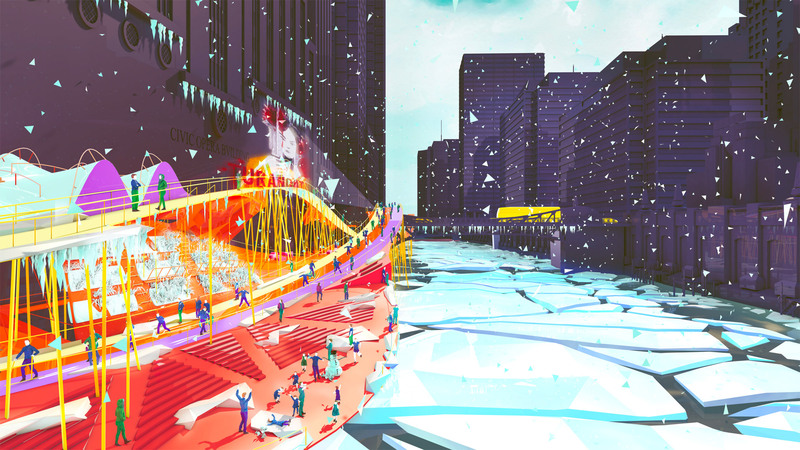 PULSE: oscillation embraces the narrow footprint of the Civic Opera House site through an exploration of the role of verticality in activating the riverfront. 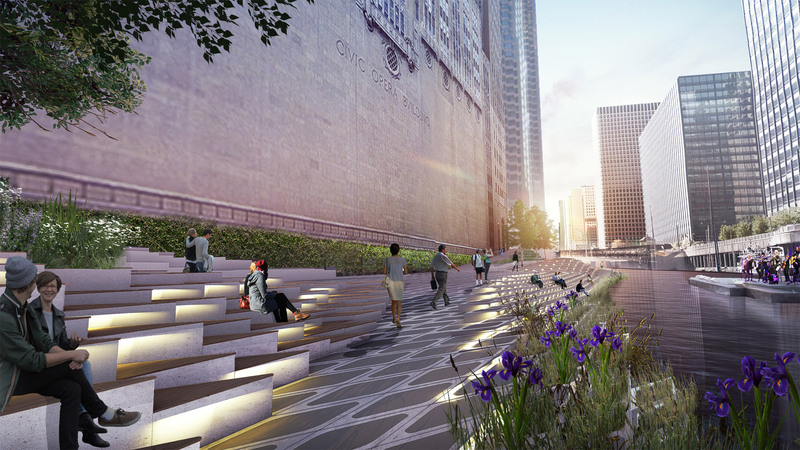 Building upon the programming of the Civic Opera House, the site features a prominent gathering and performance space; monumental steps that reach down towards the river. 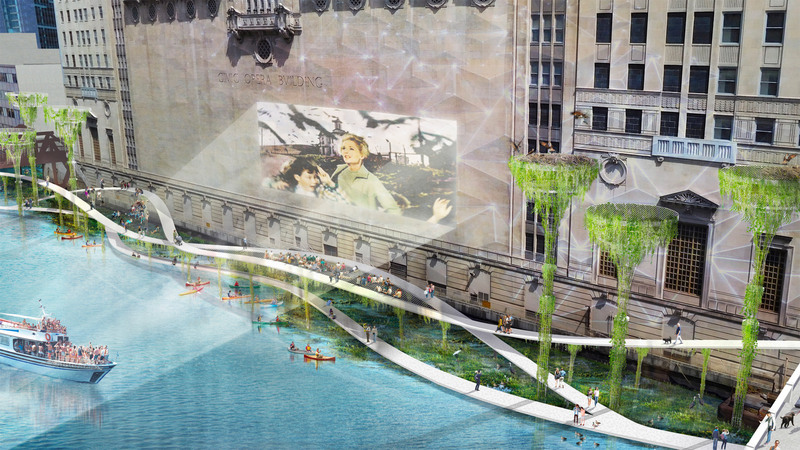 Additional program elements include a climbing wall, climbing net, play mounds, gardens, and seating nooks nestled against the Civic Opera House façade. 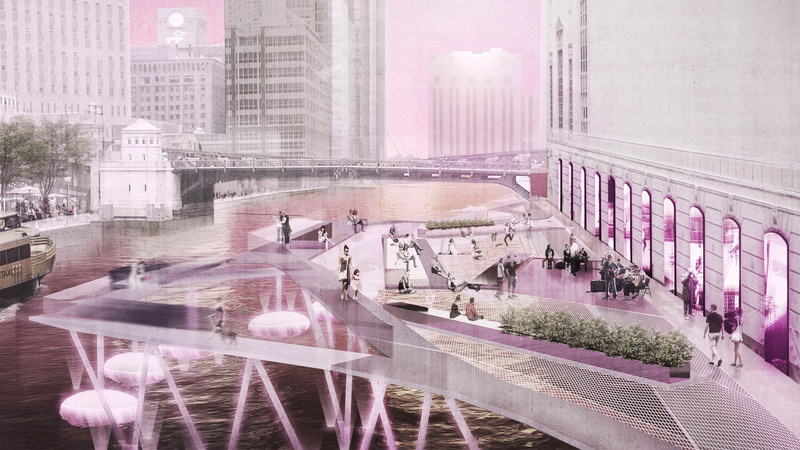 Each program element plays upon the opportunities for interaction, activity, and play in the vertical dimension, jumpstarting the activation of the riverfront.